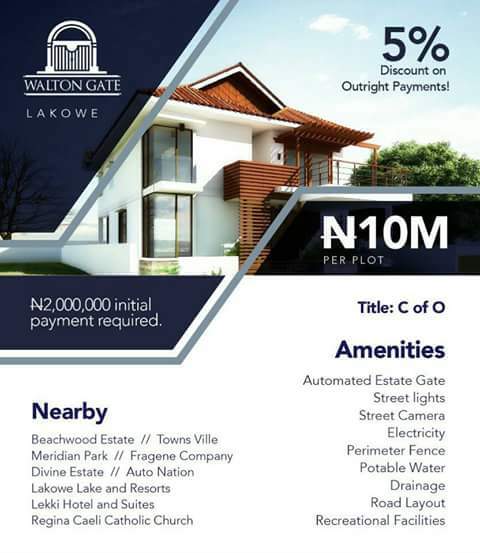 Location: Walton Gate, Lakowe,Lekki,Epe Expressway,Lagos. - Beachwood Estate //Town Ville. - Meridian Park // Fragene Company. - Divine Estate // Auto Nation. - Lakowe Lake and Resorts. - Lekki Hotel and Suites. - Regina Caeli Catholic Church.